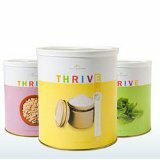 The THRIVE Q is a customized food storage plan that is divided into monthly shipments. The customer creates list of items wanted then each month, the Q will create a new order that includes food that list. The order is processed on the day of the customers choosing. The customer has two choices: You can set up a planner for them (I don’t have many people do this) or they can go on a shopping spree and highlight everything they want to add to their food storage by making it on the price list. When I set up their Q I leave the planner blank and manually enter what they wanted. I like customers to add enough to last for several months. This way they don’t have to go back in and change things all the time. The customer can select the date they want the product shipped, the amount they want to spend and if they want to be a part of the Q club. I encourage all my Q customers to have a budget of $100.00 this gets them into the Q club and the great Q-pons every month. Determine the monthly dollar amount you want to invest on your THRIVE food. By simply reallocating part of your current budget to THRIVE foods, you can create your home store without increasing your monthly expenses. While the Q does all the work of managing and shipping your orders, it also gives you the option to customize your orders to meet your specific needs. How do I talk about the Q? Commercials: With the Q like with all of the products and services we sell I like to make up a one or two sentence commercial for it. I think it is a good idea to think of these ahead of time and write them down. Then when someone asks you to explain about it you already have something to say. Many times people don’t want to know everything they just want to know a little. Try to tell them a little and leave room for them to ask a follow up question. My audience is mostly interested in food storage so most of my commercials are too. But if your audience is different write some that fit with who you are talking to. Here are a few of my “commercials” about the Q. 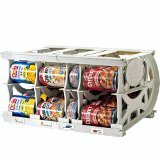 · The Q is a way for you to save time and money while building your food storage (home store, pantry). · The Q is my favorite part of Shelf Reliance. It gets healthy food into my house and I don’t have to go to the store. · The Q takes away all of the anxiety out of building up your food storage. You set it up once and it takes care of itself. · I love the Q because it guarantees me the best prices. · The Q is a lot like a movie rental Q. You create a list of items you want to add to your home storage and then you set up a budget that works for you family. Each month you are sent some of the items on the list that are within your budget. You can then use some of those foods to cook with and some of them can be stored for later use. Presentation: So recently I have been thinking about going back to the White board demonstration. I haven’t done it in a while and I think I am going to. If you don’t know what I am talking about watch the video about Lisa’s party and you can see an example of it. I often show the clip about the Q from the DVD. But if there is not a DVD player convenient to where the party is I just talk about it. Below is the New party presentation about the Q. The Q is the online tool that can help you create your own Home Store. You simply enter your family member’s ages, gender, and caloric intake. You decide how many months of food you want to have in your Home Store and the Planner will calculate the amount of food from each food category that you will need. The next step is to decide the amount of your monthly grocery budget you’d like to reallocate toward your Q, as well as the date you’d like it shipped to your doorstep. You have the ability to customize and manage the foods that will come to you each month, or you can let the food from your plan come randomly each month. The reason this program is called “The Q” is that you will always have food waiting in a queue to ship to you. *When you pull out the pamphlet, go through each level of the Q Club. Explain how the Platinum is the best membership. Introduce the current Platinum promotion. With a Home Store, not only will you have the convenience of always having nutritious food in your home, you can also build up a supply of food in case you ever experience any type of hardship such as, job loss or economic instability, or other disasters such as floods, earthquakes, and power outages. You will have the peace of mind that your family will always be able to eat well, no matter the circumstances. THRIVE can be your Food Insurance! a. Buy 25% less when you go to the grocery store. b. Stop buying overpriced, processed foods. c. Replace one grocery trip with the Q.
d. Instead of picking up take out, use the convenience of Thrive foods. e. Use your Home Store rather than going to the grocery store for one item. f. Use Thrive ingredients in your meals or snacks once a day. g. If you have the funds, start with a pack and build on it with The Q. There are added discounts on these amazing packs. Ask yourself if any of the points we discussed are important to you. · Do you want to live a healthier lifestyle? · Do you want to save time in the kitchen and spend more time with your family? · Do you want to save money? · Do you want to have the peace of mind of having a food supply in your own home?